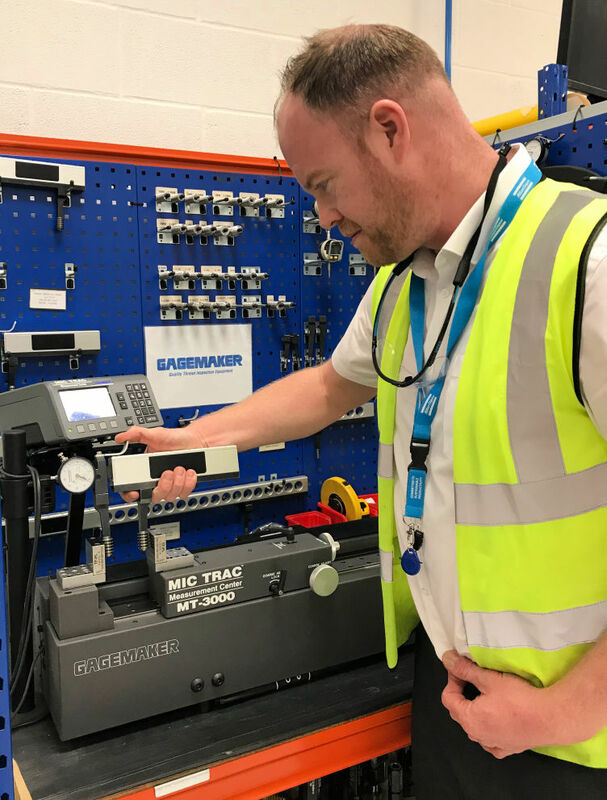 Atlas Copco is now measuring internal threads on its hydraulic bolt tightening tools with a Gagemaker Mic Trac Gauge Setting System from Bowers Group. Founded in 1873, Atlas Copco is a world leading engineering group manufacturing industrial tools and equipment. 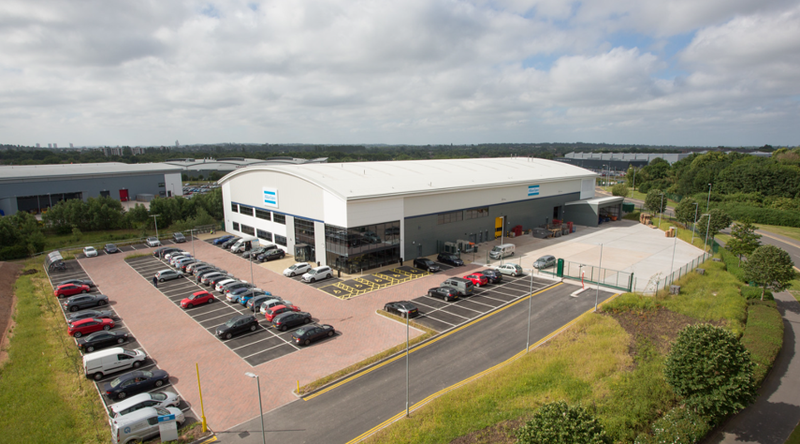 Atlas Copco’s Wolverhampton based manufacturing facility is a brand new, state of the art global bolting innovation centre, and the headquarters of Tentec Ltd, which is one of the leading providers of bolt tightening solutions globally. As part of the Atlas Copco group, Tentec Ltd designs, manufactures and distributes a wide range of hydraulic bolt tightening tools used both on land and in subsea applications, which are widely regarded as world class for their reliability and accuracy. Atlas Copco identified the need to further develop the way they checked internal threads on components. Instead of using ‘Go/no-go’ gauges, the company required a measurement method that was more specific for certain applications, and would meet its goal of continuous improvement. Bowers Group provided Atlas Copco with the Gagemaker system to measure the internal threads on a variety of components, including hydraulic bolt tightening tools. The Gagemaker allows Atlas Copco to provide more detailed feedback on tolerance to customers. For example, instead of giving a ‘pass’ or ‘fail’ result, they are now able to specify the exact measurement by which the tolerance has been met; or indeed, missed. Therefore, if a middle tolerance is achieved, the exact figure can be determined; accurate down to 5 decimal places. We use it primarily for measuring threads at the moment, but we plan to have several units in place for other manufactured parts throughout the business. Our next aim is to use a Gagemaker to measure internal and external splines, for increased accuracy and a higher level of control over the manufacturing process.Atlas Copco’s Quality Inspection Manager, Darren Cleaver said: “The majority of machinists here at Atlas Copco in Wolverhampton use the Gagemaker system. It has enabled us to halve the number of gauges we buy because it offers such flexible measurement capabilities. Many of the components manufactured by Atlas Copco are nickel plated in order to provide corrosion resistance for parts that will be typically be used in subsea conditions, and exposed to salt water. As saltwater can be extremely corrosive the components need to be exceptionally accurate considering the critical applications that they are part of. If a part doesn’t meet tolerance, and is the wrong size, they will not meet stringent design criteria and will not be passed off by the inspection team. Components used in the oil and gas industry are also subjected to extremely high pressures. For example, an error in machining or measurement could result in an oversized thread. If used in an application where high pressure is a factor, an oversized thread may result in what is commonly known as ‘thread-strip’, so it is imperative that manufacturing & inspection processes are adhered to stringent design principles. Members of the quality team at Atlas Copco previously used ‘Go/no-go’ gauges as measurement inspection tools, which allow workpieces to be checked against allowed tolerances. As the name suggests, the check involves the workpiece having to pass one test (go) and fail the other (no-go). Although ‘Go/no-go’ gauges are an integral part of the quality process used in manufacturing components at Atlas Copco, and are perfectly adequate, a more sophisticated method of measurement was required in order to further develop the measurement process on critical applications. Now, if one of Atlas Copco’s old gauges is out of calibration, the team no longer need to replace it, as the Gagemaker fulfils this need. The Gagemaker system has, therefore, saved Atlas Copco a significant amount of money. Accuracy has also increased due to the ability to measure components at various stages during the manufacturing process. The old gauges only allowed operatives to measure components at the very end of the process, meaning that if a mistake had been made it would often be too late to correct, and could result in scrappage and waste. The Gagemaker system, however, allows operatives to monitor the dimensions of the parts at intervals throughout the manufacturing process, enabling them to adjust the machining mid-way through manufacture to achieve required accuracy. The connectivity that the Gagemaker system offers is also a huge benefit to Atlas Copco. The business was extremely keen to streamline the manufacturing process, and the Gagemaker offers a SPI output cable to transfer data to spreadsheets at the touch of a button. Digital readouts allow Atlas Copco to produce reports in order to provide customers with definitive evidence that manufactured components meet ISO standards and British standards. The Gagemaker Mic Trac Gauge Setting System used by Atlas Copco has a range of 0" to 24" Internal, 1 1/2" to 25 1/2" External. This multi-use gauge setting system sets or zeros most gauges with the use of interchangeable anvils or blocks, and incorporate the ForceLok™ feature to provide a constant anvil force that improves repeatability from operator to operator. This electronic, adjustable calibration and measurement centre will inspect parts, preset indicator system gages, and calibrate a variety of hand held inspection gauges. Suitable for use on the shop floor or in the calibration lab, the Mic Trac system contains receiver pads, which are precision ground in matching sets, and used as parallel surfaces for measuring or holding fixtures. Quality Inspection Manager, Darren Cleaver continued: “We are very happy with the service and support we have received from Bowers Group and are confident that should be need further assistance they will be more than happy to help.